I've finally made time to resume my regular diary updates! Along with my daily Facebook and Twitter posts you'll now once again be able to follow my workshop and trips reports in a little more detail. 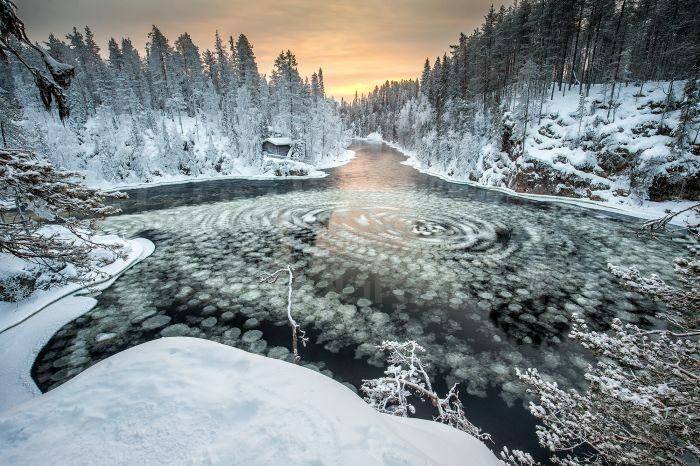 I began 2016 with a mid-winter trip to Finland, a country that I have visited in three previous occasions. Although I aimed to cover both landscape and wildlife subjects the weather conditions dictated that this was to become predominately a landscape photography trip! 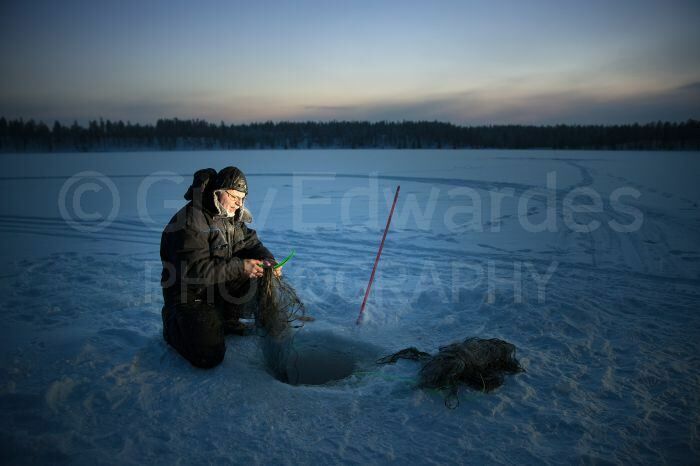 When I arrived in Kuusamo on the 2nd January the temperature was -17C….and that was as warm as it got! 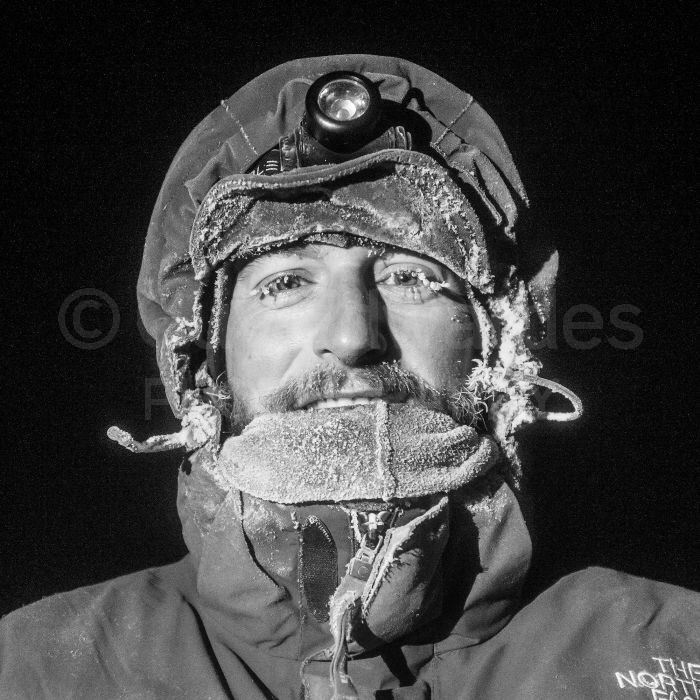 I had been hoping for cold weather and I was very lucky to time the trip for one of the longest periods of prolonged cold for several years! 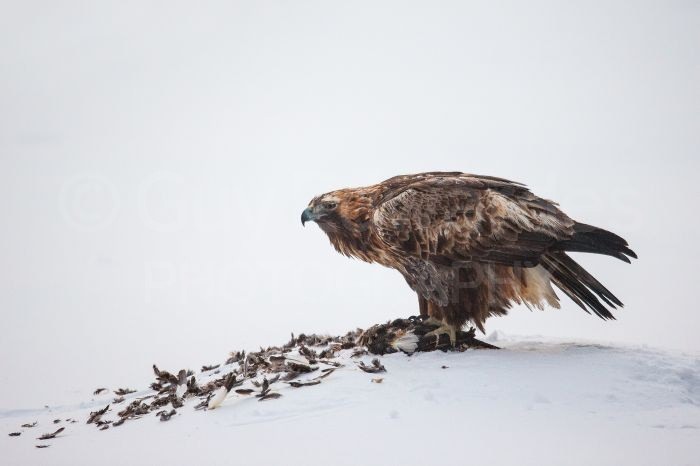 One of our first photography sessions was in Riisitunturi National Park in Finnish Lapland. We arrived in time for sunrise at 10.30am! 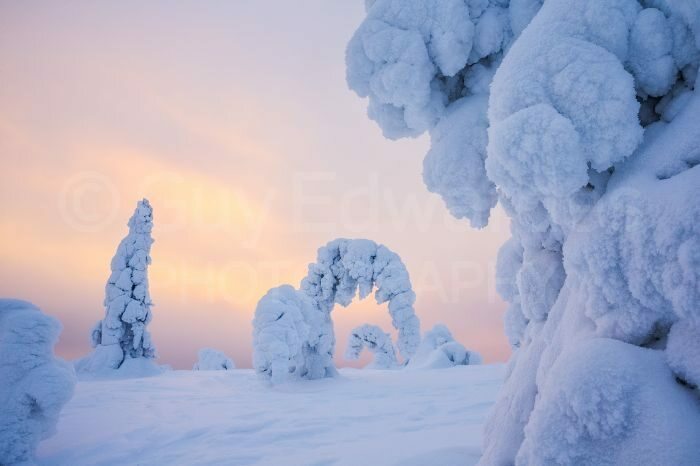 After a long hard slog uphill in snowshoes we arrived at one of the highest points in the Kuusamo region. 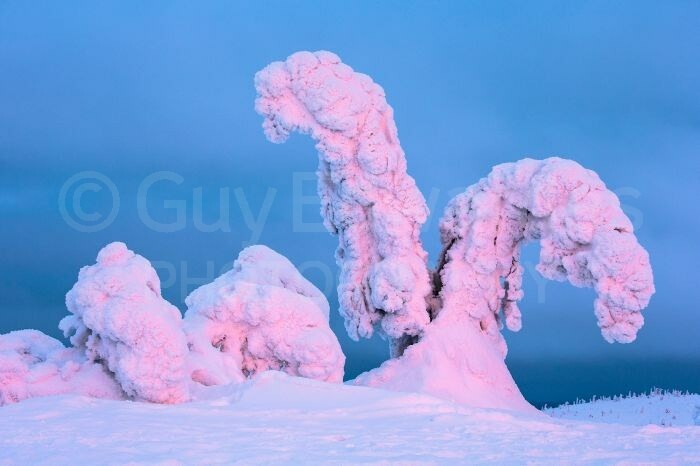 Up here the trees are exposed to the harshest winter conditions and when the temperatures remain cold enough they build up a thick covering of snow and rime ice, know locally as “Tykky”. 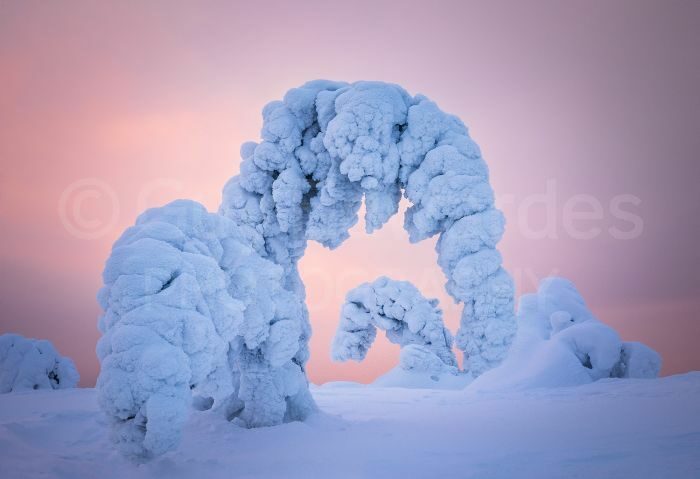 The weight of all this contorts the trees into some fascinating shapes. Although a spectacular sight it's not all that easy to photograph and takes more time than you might think to find a successful composition. We were fortunate that the sun very briefly broke through the clouds and illuminated the snow-covered trees for a few minutes. The sun is only above the horizon for three hours at this time of the year and even then it remains very low in the sky. This means that on a clear day the sunlight appears extremely red, even purple at times! Following dinner back at our log cabin base, we headed back to Riisitunturi once again. The aurora forecast was quite good and the sky was clear, so we hoped that we may have a chance of capturing the Northern Lights. Once we'd found a suitable vantage point with snow-laden trees and pristine snow in the foreground we set up and waiting. A few test shots revealed that some aurora activity was present, although weak. About an hour later the activity increased and we were able to capture some nice images. 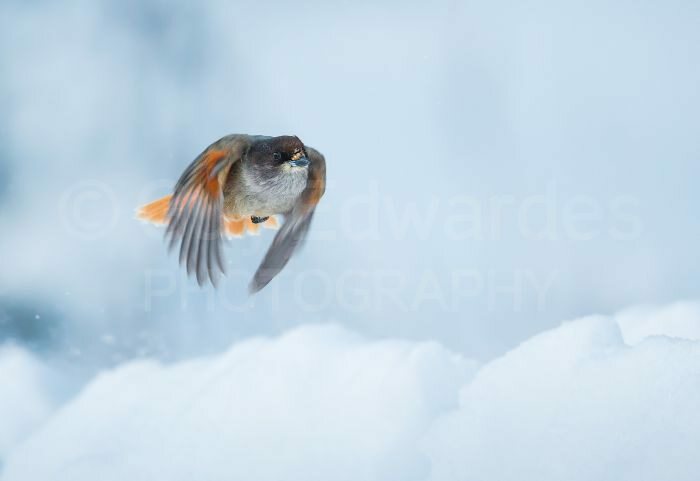 The colourful Siberian jay is always good fun to photograph. 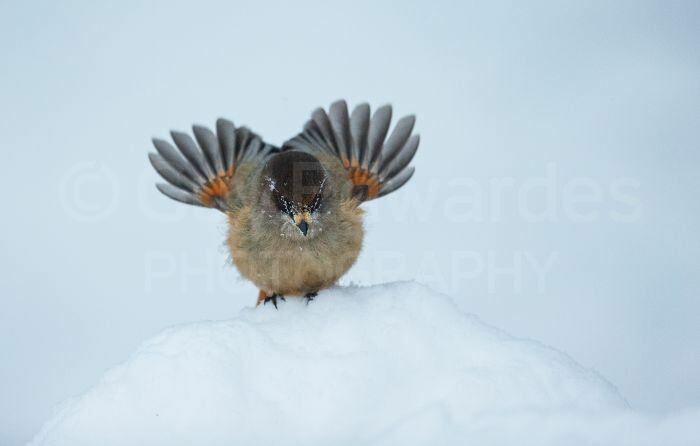 In such cold conditions the jays were hungry and easily enticed close, they are a confident and inquisitive species. With several present there was also some squabbling going on. 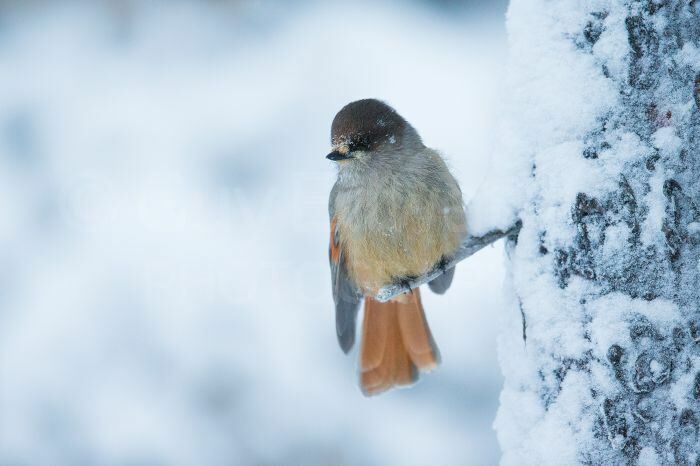 The Siberian Jay is about the size of a Mistle Thrush and quite common in boreal forests. On our second evening we climbed to another high vantage point and found that somebody had been there before us! 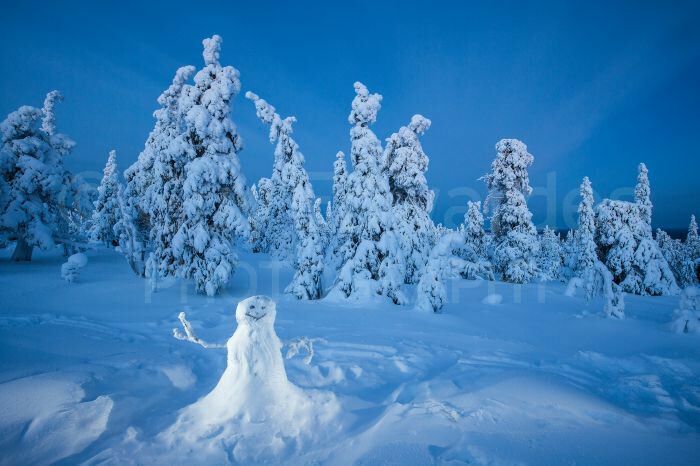 We waited until dusk and then illuminated the snowman with a head torch from both sides to make him stand out from the snowy backdrop. 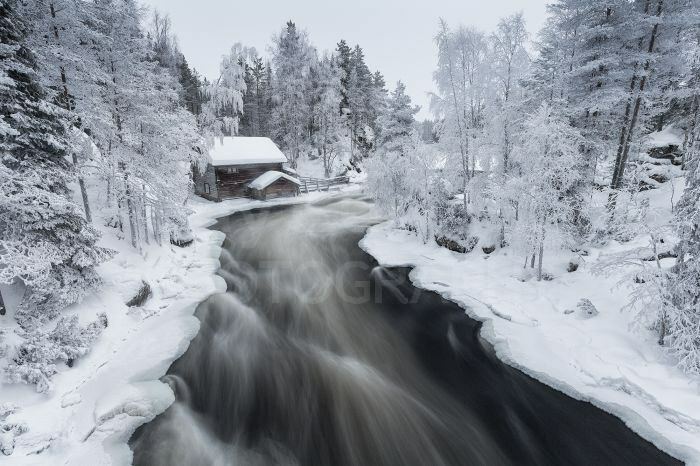 One of my favourite locations was Myllykoski mill on the Kitka River. By the middle of the week all the trees were hoar frosted and a thin covering of fresh snow made the scene look very pristine. This shot was taken from the middle of a very bouncy and narrow suspension bridge. I had to hold my breath and use a remote cable to take the shot, as I wanted to use a two-second exposure time to capture the movement of the water beneath. 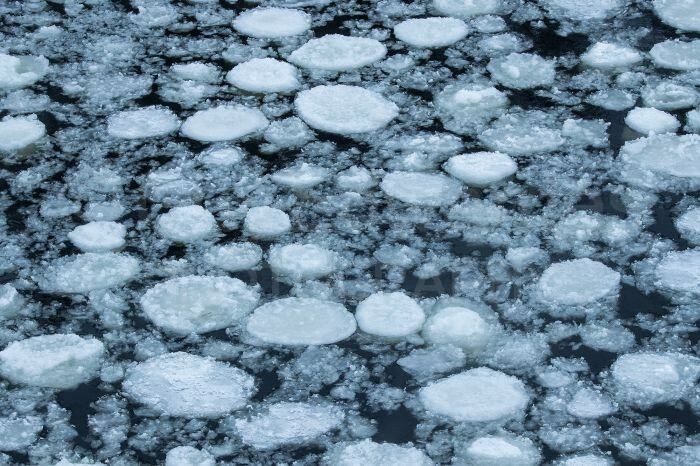 A little further downstream there was a large bay where the spinning current in the water had created pancake ice. 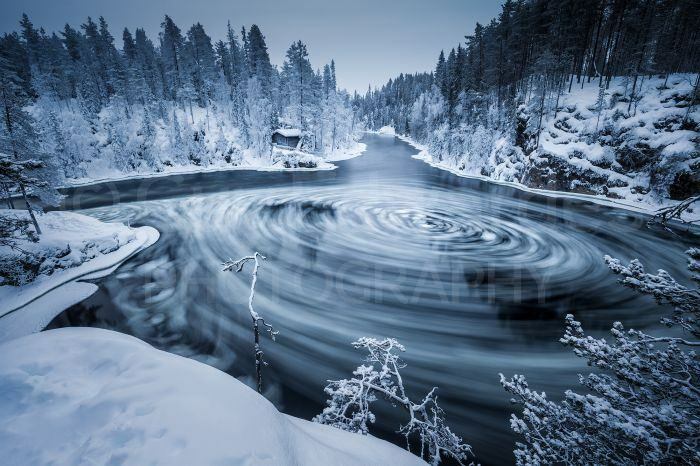 Hundreds of discs of ice were trapped in this section of the river, spinning slowly around in a big circle. I took many images here, some with fast shutter speeds and some with much longer exposure times to achieve different effects. 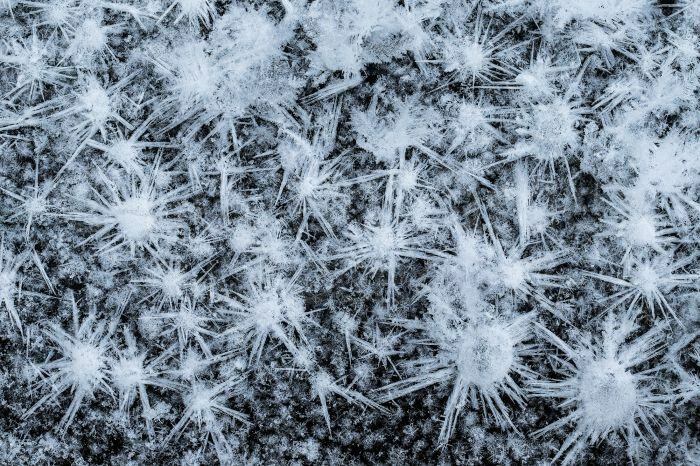 My favourite images, however, were taken using in-camera multiple exposures, as this recorded the spinning motion as well as showing the shape of each individual disc of pancake ice. 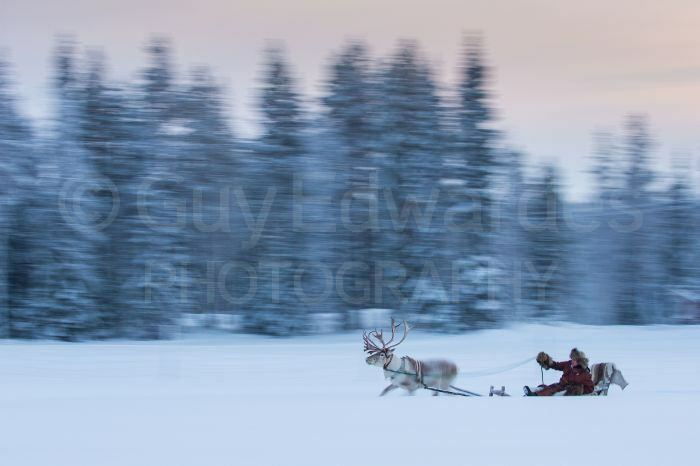 We also visited Palosaari's Reindeer Farm and photographed “Little White”, an ex-racing reindeer pulling his owner Satu Palosaari through the snowy landscape at high speed! For this I used my fluid video tripod head to enable a very smooth pan and a shutter speed of only 1/8th sec to blur the background trees. The critical think was to keep the head of the reindeer sharp and for this a good quality video head has no equal. 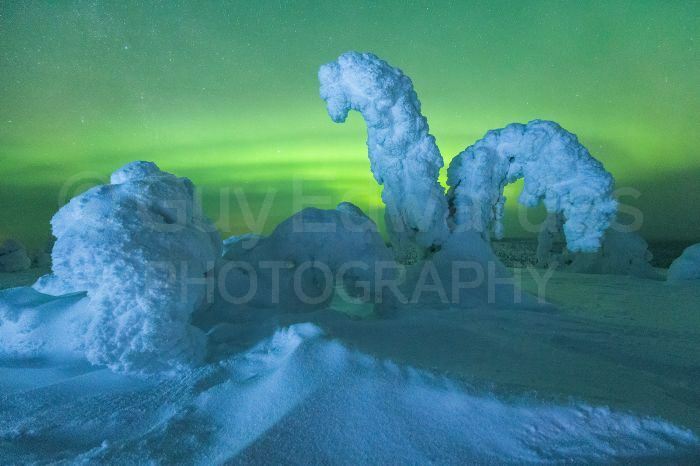 We returned to Riisitunturi National Park once again when the aurora forecast was at it's strongest. It was level 5 on the 5th January. Again we hiked up to the top of the hill in the dark and in temperatures as low as -35C. I decided to ditch the snowshoes this time, which made walking up there and back on the well-trodden path much easier, but walking around whilst up there in deep snow much more difficult! 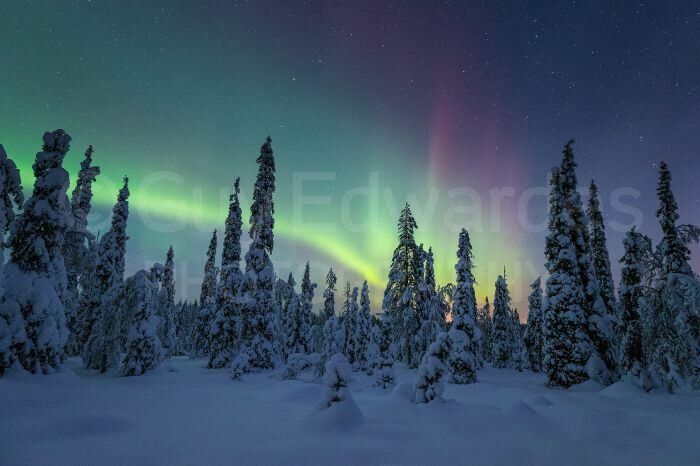 The effort was worth it though, as we were treated to a fine display of Northern Lights. Whilst I wasn't particularly lucky with the wildlife photography on this occasion (that's wildlife for you!) the landscape opportunities more than made up for it! I would like to thank my excellent guide Olli Lamminsalo for always getting us to the right place at the right time, and also Finnature for organising yet another successful trip for me.